Last week, we learned a lot more about Kojima’s Death Stranding. 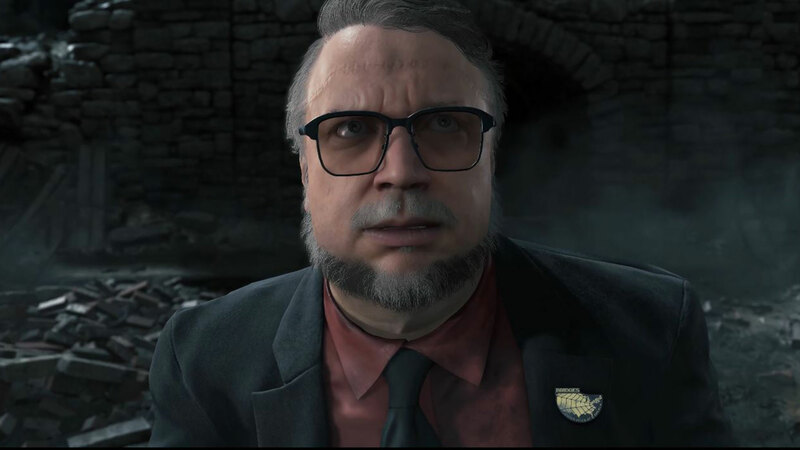 During The Game Awards 2016, the new trailer revealed that both Guillermo Del Toro and Mads Mikkelsen will star in the game and the latter recently called Kojima “a very brilliant man who’s creating something completely new”. In an interview posted by Red Bull today, Kojima expanded on his partnership with Del Toro (who was far from afraid to take his friend’s defenses against Konami on Twitter). We worked on a different project together [the cancelled Silent Hill reboot] and he was pretty sad that it ended. So I asked him whether he want to come on board, and now we’re actually collaborating on a deep level because we’re developing his character together and talk a ton about ideas and inspirations, camera angles and storytelling. It went the same way with Mads [Mikkelsen, who plays Galen Erso in Star Wars: Rogue One], who plays the main villain in Death Stranding. Then Kojima appeared on a panel at PlayStation Experience 2016, where he announced that Death Stranding would use Guerrilla’s Decima engine. In the Red Bull interview linked above, he explained that it will have very different results from Horizon: Zero Dawn due to the very photorealistic graphics style they’re aiming for. He also confirmed once again that the footage was running in real-time on PS4 Pro and that the game will eventually look much better upon release. Decima is a groundbreaking rendering engine, but if we would create the same worlds there’s no point to that. Horizon: Zero Dawn has this fantastic artistic vision, but we’re more aiming for a very photorealistic style. I’m a big fan of physical based lighting, and we’ve created something which we call ‘Glass Room’, which is literally just a meeting room, where we can check the quality of reflections and accuracy of lighting on every single object, like tanks or the baby doll. Yes, it was rendered in real-time on a PS4 Pro. And it will look much better when the game comes out. Finally, the renown game designer stated that the core story structure is already in place. It’s too early to talk about the broader details of the story or to reveal the female lead, but we have a core structure already. Death Stranding is expected to hit Sony’s PlayStation 4 in 2018 or 2019, with a PC version releasing at a later date.